From time to time I love taking on special projects that are personally near and dear to me. Through imagery I hope to impact my community by sparking conversation and highlighting issues that often include our youngest members of society. Brown Girls Do Ballet began in 2013 as a personal photography project in an effort to highlight girls of Hispanic, African, Asian, East Indian, and Native American descent in Ballet programs across 3 major Texas cities: Dallas, Austin and Houston. It has since morphed into a full on philanthropic organization dedicated to promoting diversity in ballet programs through various media platforms, training resources, and an exclusive network in the world of ballet. To learn more about Brown Girls Do Ballet click the link below. Frogressive is the brainchild of photographer TaKiyah Wallace. 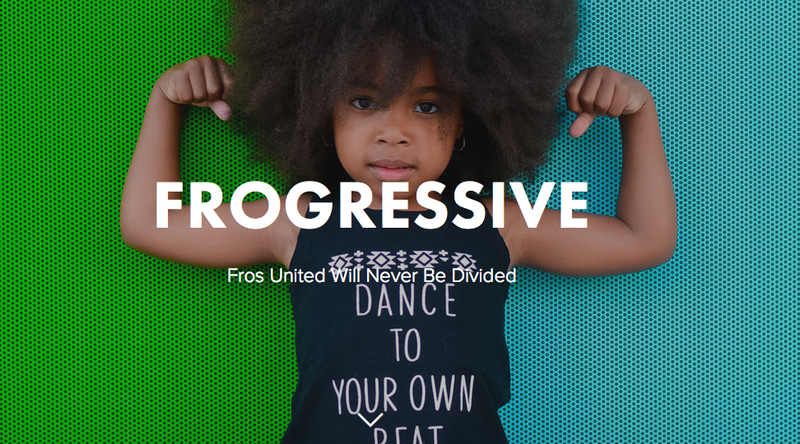 A photo project at heart, the Frogressive story grows with each fro she meets. TaKiyah travels the the U.S. looking for the biggest fros on the smallest people she can find as an ode to her Fabulously Frogressive kiddos, Tripp and Charlie. She longs to live in a world where all people rock their big hair unapologetically. If Rachel Dolezal can do it, we all can. Be Frogressive, B-E Frogressive.